Within this post I want to introduce few interesting facts about this table. A first fact (and very obvious one) is that table is dedicated to frontend requirements of particular BW system. The minimum frontend requirements for any backend Support Pack are stored here. Below see description of parameters stored in the table. Most of them are not documented at all. The case might be that are supposed to be used only internally by SAP. We all know that sometimes even internal settings may help in specific situations. That was also my motivation to write this blog post. I used to analyze SAP BW standard code in order to explore parameters meaning. Might be that I’m not always right about their meaning. Therefore I would encourage you to share your experience with the parameters. On other hand there is at least one SAP note discussing some of parameters - 1510916 - Collective Note: RS_FRONTEND_INIT parameters. Notice that in the most cases listed below parameters set to X means it is switch ON – enabled. 1. Values in this table are being customized by calling transaction RS_FRONTEND_INIT. 2. Table validation from Solution Manager (SolMan) – content of this table can be validated from SolMan by Configuration Validation functionality. By this values are compared and validated between one reference system and several target systems. Basically this is nothing else just the version of SAP BW. There are (of course) several ways how to find it out. He Here we see that BW is of version 7.00 and the highest Service Pack installed is no 20. You can force your user to use BEx 3.x or either 7.x version of BW frontend. This means that while users execute TA RRMX or RRMXP (for workbooks), it will open for them specific BEx Analyzer version. 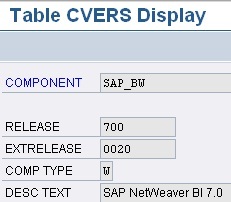 Notice that possibilities described below are only valid for SAP BW frontend (so called BI Add-On) within the following range: 700X.X.XXXX.525. 1. 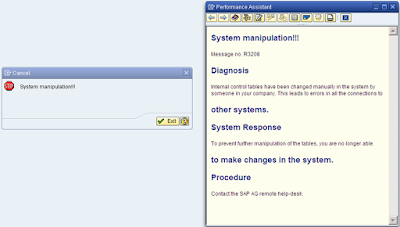 Central customizing: TA SPRO -> Display -> SAP Customizing Implementation Guide -> SAP NetWeaver -> Business Intelligence -> Settings for Reporting and Analysis -> General Settings for Reporting and Analysis -> Set BEx Analyzer Version -> Choose the version of BEx Analyzer you want. Notice that above mentioned customizing path can be accessible via TA RRMX_CUST. 3. Manual customizing 2: Modifying of settings on level of operating system. Within OS Windows here’s registry entry: KEY_CURRENT_USER\Software\SAP\BEx\Analyzer. Notice that registry modification is not very advisable. 3. Manual customizing 3: Modifying parameter QD_EXCLUSIVE_USER of table RS_FRONTEND_INIT. 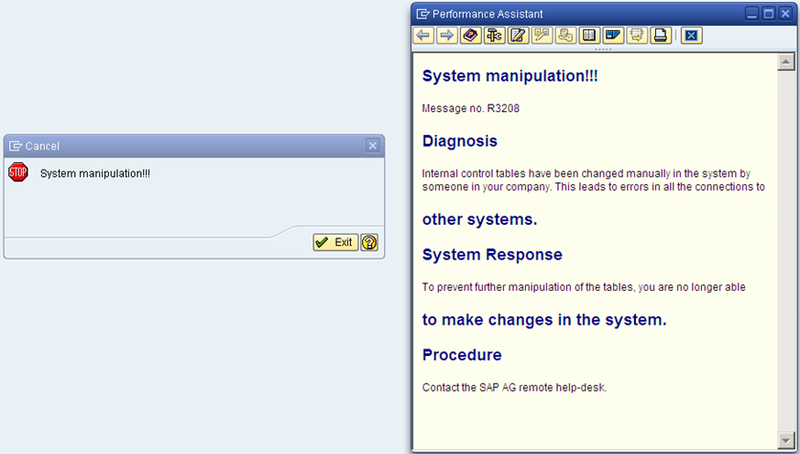 Here you can specify list of user for whom SAP NetWeaver 7.0 version of the BEx Analyzer shall be allowed. This parameter has a limitation of 30 characters. If you need to specify longer list of users proceed with workaround as described in SAP Note 962530 - NW04s: How to restrict access to Query Designer 2004s (FM RS_SYSTEM_INFORMATION modification). Wildcard (*) can be used and several user must be separated by comma. 1. Central customizing: maintain parameter RRMX_VERSION_CUST in table RSADMIN. Basically all the relevant settings must be done in two transactions: SCC4 – client independent related settings and SE06 – name-space settings. Notice that after successful source system creation you need to close system reverting those settings. 2. Speaking about BW systems system settings in production environment. This scenario highly depends on practices within particular organization. E.g. there might be rules in place like all the developments event objects like InfoPackages, DTP, starter variants of Process Chains must be created in DEV system and transported afterwards to PROD. However some organization can freely allow e.g. objects mentioned above to be changed in PROD environments. To customize this there is a tool called Transport Connection introduced. Tool is available in TA Administrator Workbench (RSA1)->Transport Connection or directly via TA RSOR. Within its Object changeability we can set particular objects to “not changeable” or “changeable” state. This is then influencing either developer/admin can change those objects without being asked for transport request.